Special Location! 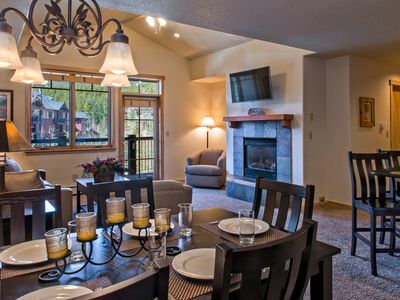 3BR+/3BA Sleep 10+ in Comfort! Pets too! 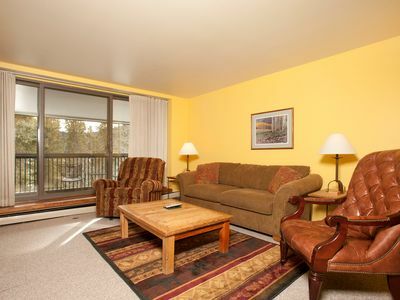 A great condominium, close to the free shuttle stops, and one block off old Main St! 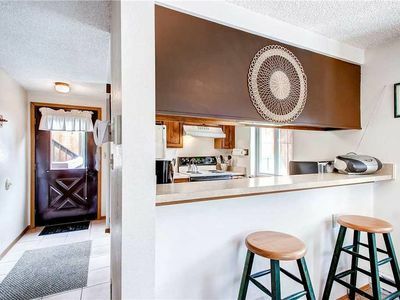 A brand new kitchen, with two Master Suites (large bedroom with attached full bathrooms), make it more comfortable than a hotel or box-like condo. 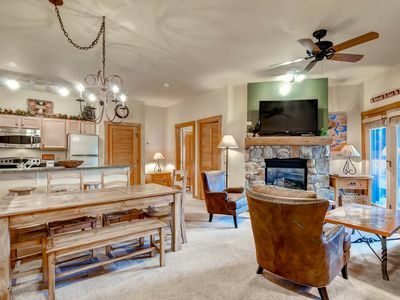 You can relax in the condo with a steam room, Jacuzzi, and foosball table right upstairs. Lots of parks, stores, restaurants, and even the Frisco Marina are less than a 5 minute walk away. Park the car and enjoy! You are right where you should be!! 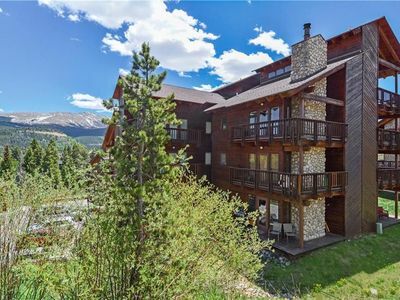 A wonderful second floor unit with over 1,800 sq. ft. of space to stretch out. Perfect to invite your friends over for dinner or maybe just a cocktail before you go out on the town. But with a brand new kitchen and grill, you will enjoy cooking for everyone! Light a real wood fire and listen to it pop and crackle as you prepare your feast. A nice way to relax after your busy day on the slopes. If you are still feeling a little bit stiff and sore from the day's activities, the steam room (easily seats 4) and the intimate 2-person Jacuzzi, can melt all your soreness away. Afterwards, have fun with the kids playing foosball or one of the many games. Luckily everything is right in the unit, so you don't even need to put on your jacket! 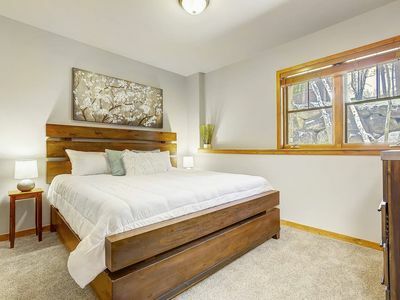 Tuck the kids into the queen size bed, full sized futon and a set of twin bunk beds. You can have 6 kids in beds and still have plenty of room for inflatable mattresses if need be. It's all set up with an entertainment center, DVD player, and game console. Now all you have to do is stumble downstairs and crawl into bed. 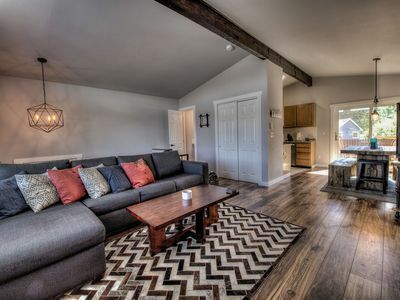 With two large Master Suites (king bed, attached full bathroom, and large closets), you can put your friends in the other suite (queen bed, private full bath, and enormous closets, one with washer/dryer)! 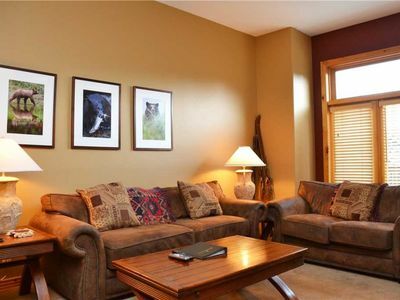 You and your friends each get one of the suites (Blue River Suite and the Ten Mile Creek Suite) and with the kids upstairs, everyone has the privacy they are looking for. Sleep well with warm flannel sheets on a firm bed with a comfort topper. See you in the morning. As you know, location is everything! 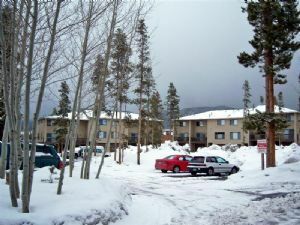 We looked long and hard to find a condo in just the right location for you. Just one block off of Main St., you can easily stroll to all the best things Frisco has to offer. Unique shops, restaurants and bars line the street from the Marina all the way to the Post Office. Just 273 steps gets you to Kemosabe for sushi (rolls to die for!) or Silverheels for awesome steaks. Another 100 steps to Peppino's for perfect pizza (even gluten free) or Ollie's for one of the best burgers in town. The finer restaurants are about a block farther away. After dinner and you walk back home, you won't hear anything from Main St. keeping you up all night! Hit the pillow and you are out! We think it is better than being right on the main drag. 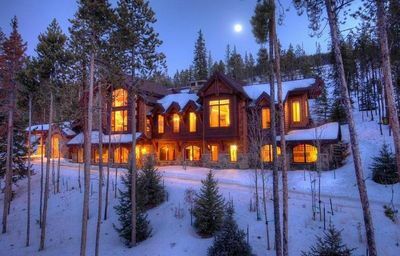 As you likely have determined by now, Frisco is absolutely the best place to stay for your winter vacation. 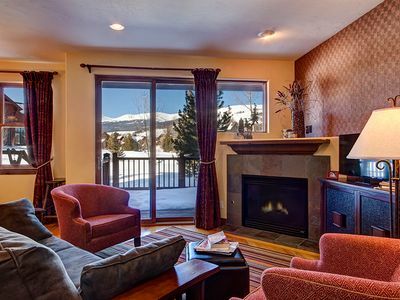 You are a short shuttle ride from Copper Mountain, Breckenridge, and Keystone, and only a 30 minute drive from Vail. 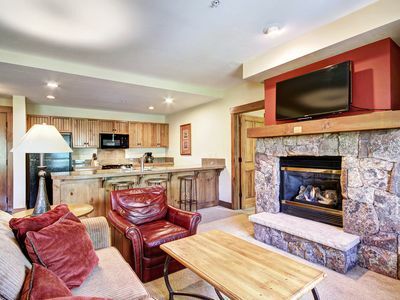 Unless you need a ski-in / ski-out chalet that sleeps 35, this is the location for you! 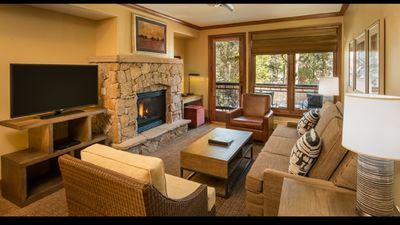 Frisco is a normal mountain town where you don't have to worry about the latest fashion trends or selling your first born child just to have some time away. We hope we can give you everything you need to thoroughly enjoy your vacation. And don't forget Frisco as a vacation destination in the summer. It's even better! 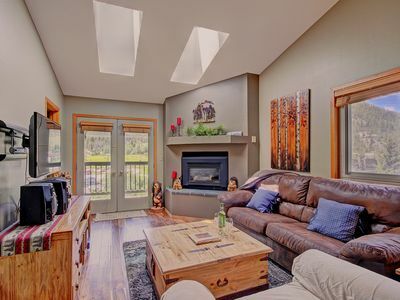 Keywords: Large condo, plenty of space and privacy, near free shuttle stops, one block off Main St., 2 large Master Suites, huge loft, brand new kitchen, free Wi-Fi, easy parking, near Frisco Marina, steam room and 2-person Jacuzzi in unit, foosball table, perfect for family fun! Great for families! 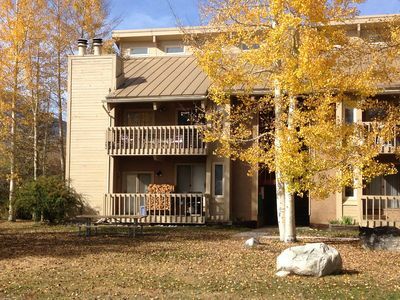 2 bedroom townhome in Frisco, sleeps 7. Clubhouse Access with indoor pool. 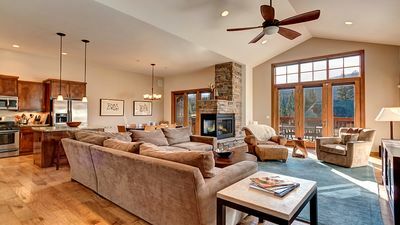 Gorgeous mountain home on Peak 10. 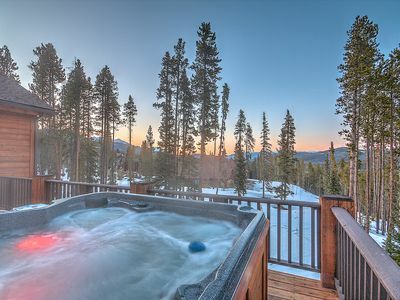 Mountain views from private hot tub! 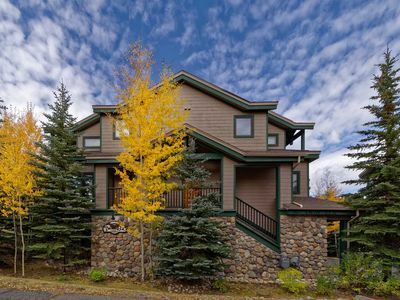 Great Mtn Views, Hot Tub, Minutes from bike trails, golf & outdoor activites. 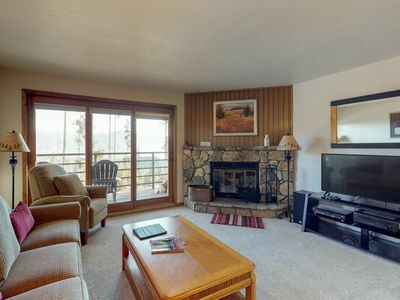 Convenient condo with shared pool & hot tub, views - close to lake and slopes! 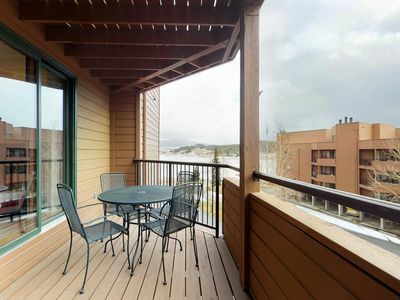 Bright 2 Bedroom Condo with Awesome Amenities and Private Balcony! 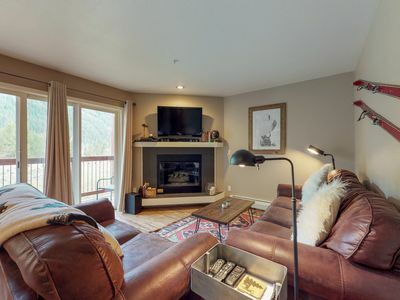 Charming Condo with Wood Fireplace, near Shuttle Stop and Main Street!